Before we knew how connected homes would come together, the prototypes seemed far-fetched and way too complicated. Fortunately, building a smart home today is not nearly as intimidating or overwhelming as it initially seemed. It’s easy, especially if you start small and build little by little. Picking and choosing the features that best suit your needs – and only as you can afford them – means you don’t have to consider it an all-or-nothing ordeal. Still, that same DIY aspect can make it a daunting project to take on – but we’re here to help. 1. Start with a voice-controlled smart speaker: It will serve as your smart home’s command center. Every smart speaker is powered by a smart assistant, and usually, these speakers also come with an app that acts as a hub of sorts. You can use the app to register and access your other smart-home devices, so you can control them all with voice commands – via your speaker – instead of needing to visit individual apps. That said, not all smart speakers are built equally, and some only work with certain services. Apple’s HomePod, for instance, only works with Siri (sorry, Google Assistant or Amazon Alexa fans), and you can only use your voice to control Apple Music (sorry, Spotify users.) Still, some of the most popular speakers offer a wide array of functions. 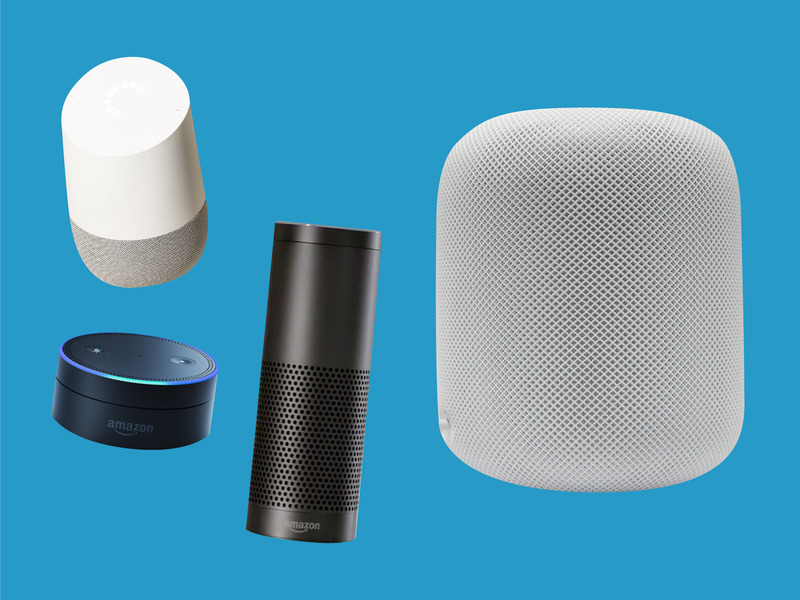 Amazon’s Echo speakers (powered by Alexa) paved the way, and Amazon sells Echo devices in all shapes and sizes, making it the most versatile family of the bunch. Google also sells its Home products (powered by Google Assistant) in small, medium, and large form factors. Apple’s HomePod launched in February 2017 and is almost exclusively compatible with iOS smart products right now. 2. Smart lighting is easy to set up and it’s relatively inexpensive — and it’s one of the best applications for voice control in the home. Smart bulbs can be used to save energy, help secure your home, turn your basic light switch into a dimmer, or prevent you from being tied down to an inconveniently-located switch. All you have to do is replace the bulbs you already have with smart bulbs. There is a one-time purchase of a small hub that has to be plugged into the wall and then connected to your router via ethernet, but it takes five minutes to install and can accommodate up to 50 bulbs, meaning you won’t have to worry about it again. You can buy smart bulbs in most locations that sell standard light bulbs. Many smart light bulbs can connect directly to your smart speaker via a separate app, but some smart bulbs require a separate hub, so make sure you’re checking the details of each bulb before you buy it. Also, make sure you check to see if the brand is compatible with the smart assistant you have (as you should do with every one of these products moving forward), and then take a look at the size of the bulb you’re replacing so you get the right one. 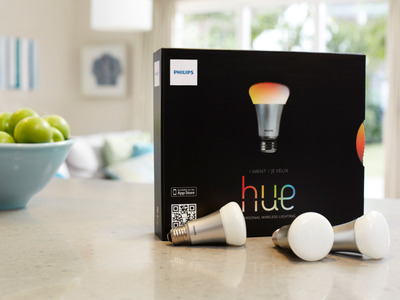 Hue Philips is a popular brand that offers starter kits (bulbs and hub), is compatible with Alexa, Google Assistant, and Siri, and even offers ones that let you set the mood by changing colour. 3. 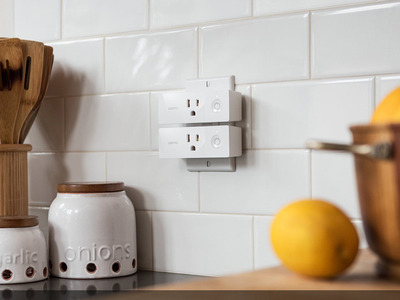 Smart plugs can make (almost) anything smarter. A smart plug is exactly what you’d think: It’s an adaptor that turns your simple appliances into smart appliances. The smart plug uses WiFi to give you control of the device from anywhere, via an app. One major catch is that some appliances have to be “dumb” for a smart plug to work, meaning it needs to do what you want it to do when it’s given power – no buttons necessary. A coffee maker, for example, needs to have an on/off switch, so that you can leave it on “On” and let the smart plug control its power. Belkin’s WeMo is great if your house is running on Alexa or Google Assistant, but if you’re a Siri household, iDevices might be the way to go. 4. Smart home-security devices require a little more effort for installation, but they’re easier to set up than most traditional security systems, and they go a long way toward providing peace of mind for you and your family. Sure, you can use lights and smart plugs to turn your appliances on and off to give the illusion that somebody’s home – or, you can tap into the market of smart locks and cameras. 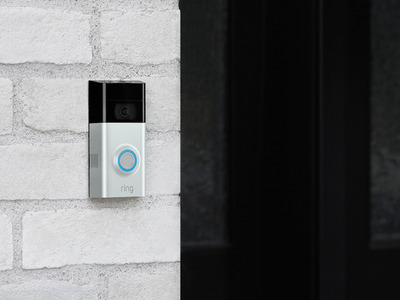 Smart doorbells let you monitor who’s coming to your doorstep even when you’re not home, using a camera and an in-app calling feature that uses two-way audio and one-way video. When the doorbell rings, your phone calls you with video. You can answer to talk or ignore the call completely, and if the app is synced to a smart lock – a deadbolt controlled via app, or with a smart speaker using a PIN number that you say aloud – you can even let them in. The most popular smart doorbells use motion sensors to notify you when someone’s at your door and let you replay footage. Ring doesn’t make locks but it does have a good variety of home-security devices, including fire alarms. Its devices are also compatible with the three big smart assistants, despite having been recently acquired by Amazon. August makes locks and doorbells, and is also compatible with the three big smart assistants. iSmartAlarm‘s in-home security cameras are also popular, but only work with Alexa right now. 5. Larger smart appliances come at a higher cost, since you have to replace your older appliances. As you might have guessed, smart plugs won’t do the job here. 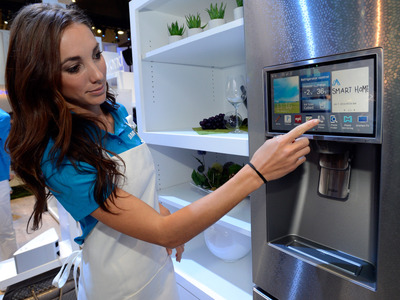 That’s why manufacturers like Samsung, LG, and Whirlpool have created smart versions of all of these products that are built with home automation in mind. Smart washers, dryers, refrigerators, and vaccuum cleaners are all actual things you can buy in the year 2018. Roomba makes vaccums that slowly learn the shape of your home and can be set to a timer (but you’ll need one per floor, since it can’t climb stairs). Ecobee and Nest make thermostats so you can control the temperature in your home from anywhere. Once you get to this point in your smart home configuration, you can automate almost anything in your home, including your toilet, shower, or even your duvet. 6. IFTTT lets you adds an extra layer to your smart home. 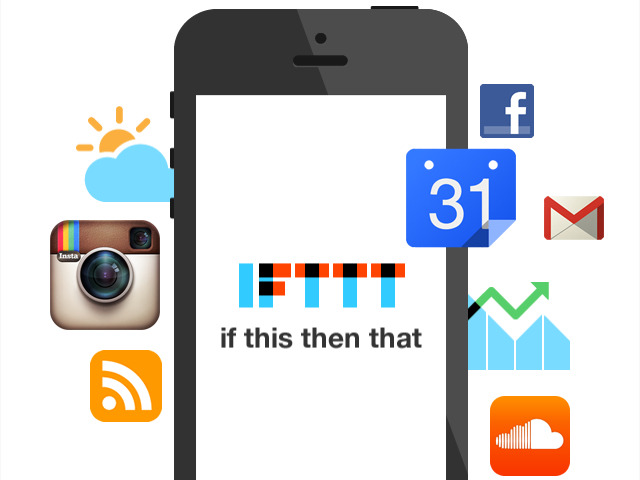 The name “IFTTT” stands for “IF This Then That.” Its purpose is to try and connect applications in more creative ways, depending on your personal needs. IFTTT serves up some examples, like turning on a Hue smart bulb when your Uber arrives, automatically sending notes from your Evernote notebook to a Slack channel, or allowing your Amazon Echo to communicate with your Google applications.